With so many new eateries popping up constantly, the food scene in the capital has become competitive. This is where Plum by Bent Chair swooped in and stole everyone’s attention by introducing a one-of-a-kind retail restaurant. The concept of the place is distinctive and quirky as it aims to stand out from the sea of restaurants available to the crowd. The store is the brainchild of restaurateu Priyank Sukhija and Natasha Jain, the founder of Bent Chair, a modern furniture and interior brand. The idea is to showcase Bent Chair’s stunning designs in a relaxed atmosphere while giving clients the option to buy what they’ve used and liked – right from the furniture and lights to the plates! And we can assure you, will want to take the entire place back home once you step inside. The stunning interiors are worth a visit. The rich purple walls are decorated with quirky paintings and wall hangings, while the ceiling holds potted plants all over the store. The paradisiacal theme of the outlet extends beyond the walls and reaches the outdoors with colourful outdoor seating that follows the tropical collection. The cherry on top, however, is the winged 12-feet bear installed outside the venue. Plum by Bent Chair is not just known for their ambience but also their delectable cuisine. With a focus on presentation and flavour, there are over 200 types of pan-Asian dishes that are picture-perfect. 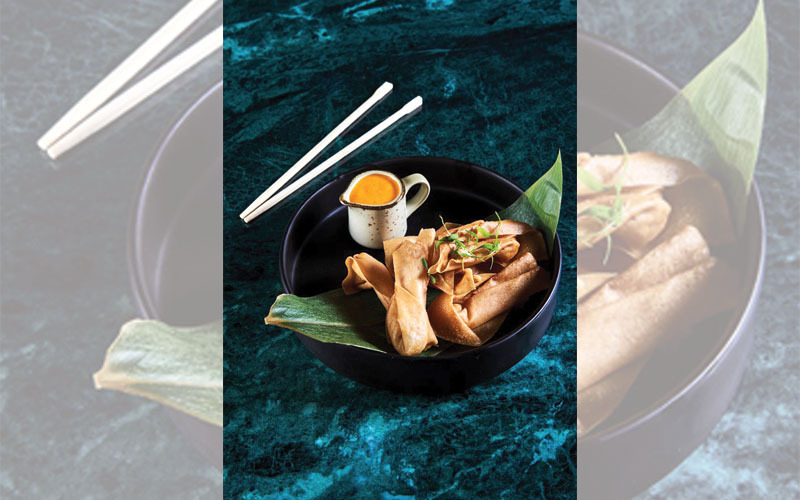 Their wide array of food offerings include Spicy Barbecue Chicken Bao, Nutella Banana Sushi, Mongolian Sliced lamb, California Uramaki, and Seafood Wontons, among various other choices. There are even gluten-free and vegan options, ensuring that there is something to satisfy everyone’s palette. 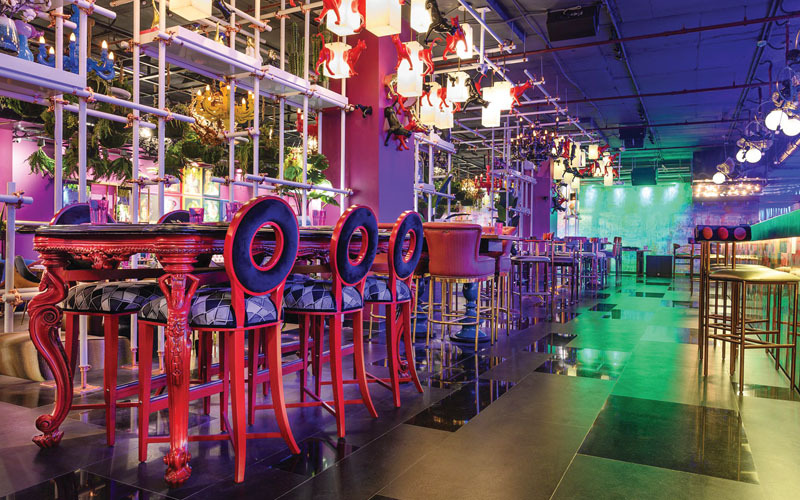 The mystical aura blended with cosiness at Plum makes it one of the most happening hubs in Delhi. And honestly, who can pass up shopping and eating at the same time?